The sprightly 77-year-old has been volunteering as the ceramics class instructor for so long, she has lost track. 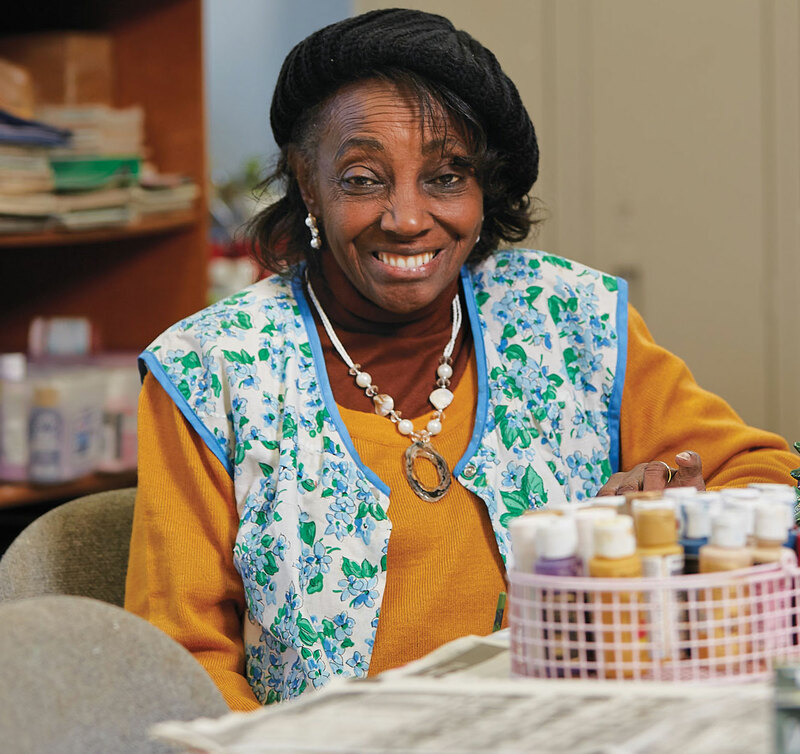 An Omaha resident most of her life, Mary began visiting the Bingel Center decades ago when she would bring her mother, who was also a ceramics painting enthusiast and instructor. After her mother died, Mary continued to volunteer. It was a way to get out of the house and meet people. “They always think I work miracles with these ceramics because when they mess them up, I get to fix them,” she says with a laugh. 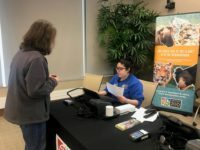 The center, which benefits from Salvation Army general funding from Blue Cross and Blue Shield of Nebraska, draws residents from the adjacent Charles and Margre Durham Booth Manor and seniors from the surrounding community. In addition to ceramics, it hosts potluck meals, card and board games, and seasonal activities. Mary loves to cook and brings lunch for the crowd on occasion. Her enchiladas were a huge hit recently. Her sister, Victoria Evans, says that’s just Mary. While she exudes joy, Mary’s life has not been without heartache. She lost a granddaughter, 27-year-old Darnesha Mitchell, to a shooting in January. “I miss her terribly,” Mary says. Helping at the center helps her cope. That’s what this place is for a lot of people – an oasis that specializes in laughter and fellowship. “We can leave our troubles at the door, come in here and laugh,” Schlegelmilch says. Mary says she knows how truly precious life is and at 77, she is living it – shopping, traveling, serving others. She says everyone can make a difference in their own way.